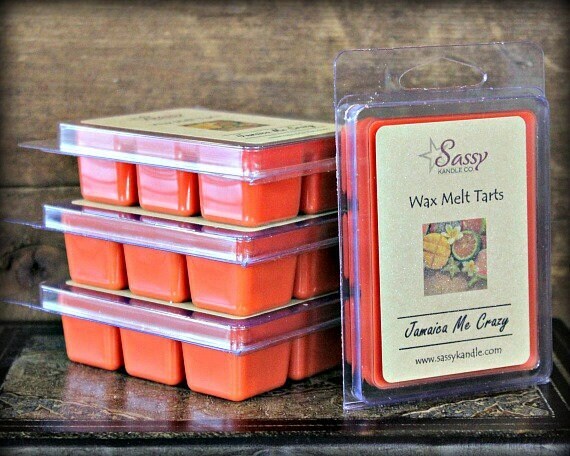 JAMAICA ME CRAZY | Wax Melt Tart | Phthalate Free | Sassy Kandle Co.
JAMAICA ME CRAZY - An explosion of tropical fruits will envelop your senses. Pineapple, orange, apple, melon, coconut, rum and jasmine. Smells like a vacation to me! Fabulous seller and amazing products! I love too that a sample of another flavor is included so I know what I want to try next. I haven't been disappointed yet! This is scrumptious and reminds me of my favorite blend of coffee. Yummy!